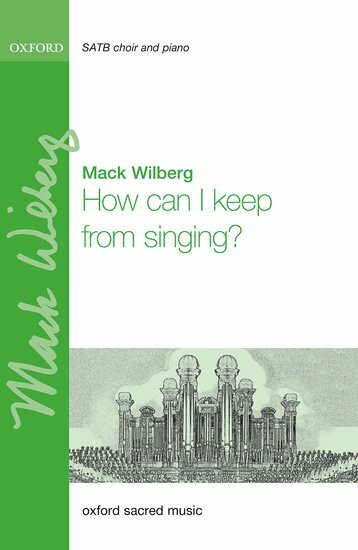 Mack Wilberg: How can I keep from singing? Wilberg's arrangement of Robert Lowry's text and melody is a beautifully reflective take on the well-known hymn. Simple vocal lines are enhanced by a gently flowing accompaniment, rich in suspensions and harmonic interest. This part can be played on the piano, or by the unusual combination of flutes, cors anglais, harp, and strings.